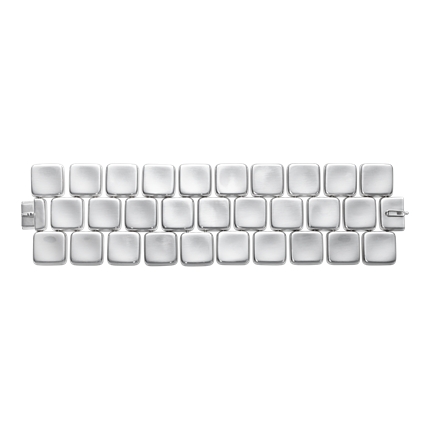 A gorgeous, sleek and geometric design Aria bracelet in sterling silver from Georg Jensen. Outstanding in its design its cubes of highly polished sterling silver are linked to create a vision of weareable art. The minimalist beauty of Aria also makes it ideal to mix, match, and layer with other pieces of Georg Jensen jewellery. 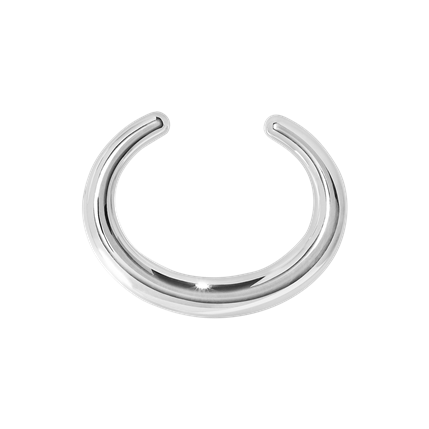 A now discontinued Georg Jensen range only one size now available in stock to purchase.